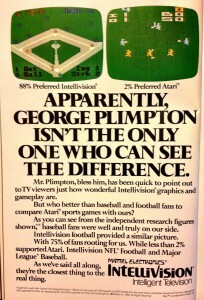 …we didn’t have fancy 3D graphics! 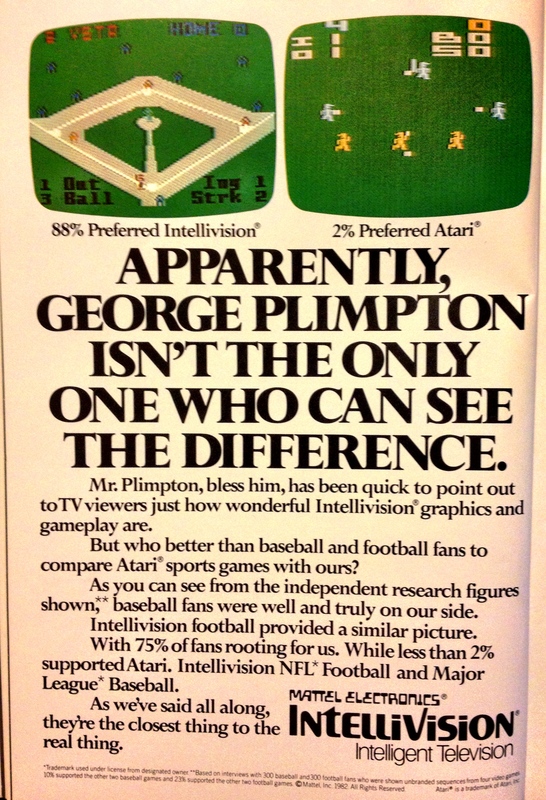 We had half-acre pixels and 8 colors and we liked it! In 1982, these screenshots actually looked different from each other. 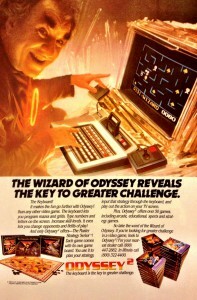 The Wizard has a Power Supply stuck to his fingers. 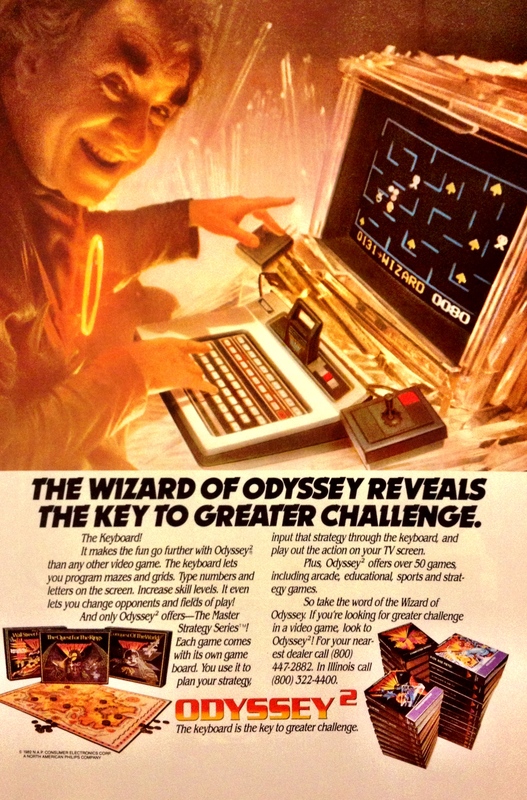 Also, his legal department apparently lacked the acumen to get a proper "Wizard of Wor" license. 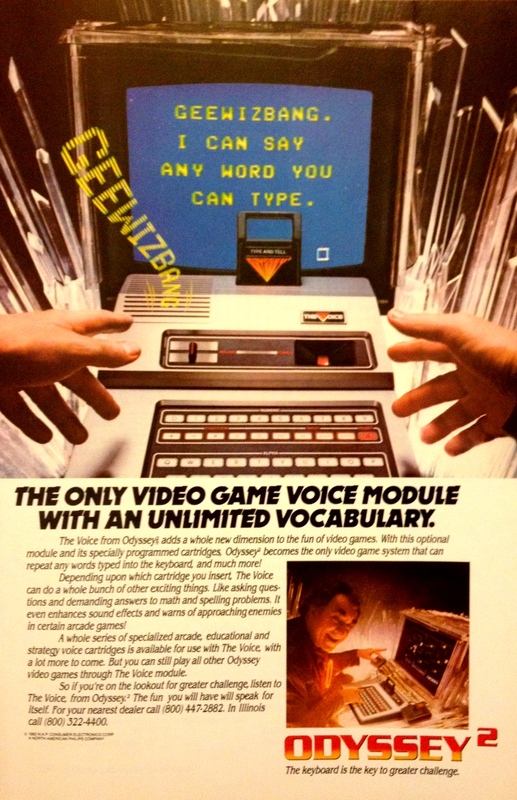 If the first word you typed upon getting the speech synthesizer module for the Odyssey² was "Geewizbang", it's a pretty good bet you had no friends. This entry was posted in Computers, Games, Then & Now by SeanMcTex. Bookmark the permalink.